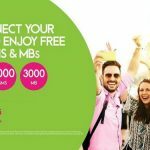 Telenor 4G Devices Dongles, Wingles & MiFi 2018 Packages, Subscription & Charges. Telenor Pakistan is offering the 4G internet devices with the seamless connectivity of internet to its customers. Telenor Group is an international telecommunications company and it’s headquarter is in Norway. The cellular operator is offering the 3G, and 4G internet devices including dongles, wingles and MiFi with the high speed of 4G internet connectivity in affordable monthly charges. Today you will find here the complete details or packages, subscription and charges. All the Telenor 4G devices including dongles, wingles and mifi offering the different data packages with the different prices that are too much affordable. Earlier we discuss about the Telenor 4G Internet Packages: Daily, Weekly and Monthly that the customers can subscribe from their sims and today customers will have the details regarding the Telenor 4G devices. The cellular operator is offering the 3G and 4G internet devices namely the 3G Wingle, 3G Connect, 3G WiFi, 4G Wingle and 4G MiFi. Telenor 3G Wingle and 3G Connect are network access terminal product that you can connect with you Laptop/PC or USB port to access the internet to all Wifi enabled device. With this 3G wingle and 3G Connect you can get the ultimate internet experience, both at home and on the go with the fastest growing and superior 3G network. 3G Wingle can support up to 10 multiple internet connections. There are different data bundle available in different prices that you can select at the time of purchase. Telenor 4G Wingle and 4G MiFi are network access terminal product that you can connect with you Laptop/PC or USB port to access the internet to all Wifi enabled device. With the 4G Wingle and 4G MiFi you can get the ultimate internet experience, both at home and on the go with the fastest growing and superior 4G network. 4G Wingle can support up to 10 multiple internet connections while the 4G MiFi supports 16 devices. The 4G MiFi device includes a 1500mAh rechargeable lithium battery that offers 6 hours of maximum usage of internet with the 300 hours maximum standby time. Complete Details about Telenor 4G Devices Dongles, Wingles & MiFi 2018 Telenor 4G Devices Dongles, Wingles & MiFi 2018 Packages, Subscription & Charges.